Brooklyn, NY (March 12, 2019) – One person was stated to have been struck by a train on Monday afternoon, March 11th, according to authorities. The serious accident took place around 4:00 p.m. at the Rockaway Avenue station. Midtown, Manhattan, NY (March 4, 2019) – On Monday morning, March 4th, police, medical personnel, and fire crews responded to the scene of an accident where one person was reported to have been struck by a train at the 34th Street/Herald Square subway station at an unspecified time. 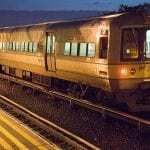 Westbury, NY (March 1, 2019) – Police have released the identities of the three people who were tragically killed when two trains struck their vehicle on Tuesday night, February 27. 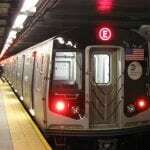 According to authorities, 36-year-old Miguel “Angel” Jimenez Luna, 28-year-old Saul Martinez Caravantes, and Jesus Hernandez were the three occupants of the Jeep that was on the tracks when they were struck by two trains around 7:20 p.m.
Manhattan, NY (February 28, 2019) – On Wednesday afternoon, February 27, a man was reported to have been struck and killed by a train at the West 155th Street subway station around 4:30 p.m.